While our health is not in good condition, our body will automatically give out certain alarms, such as easy fatigue, body-ache, headache, insomnia, lack of appetite, depression, anxiety, stress, fear, bad temper, palpitation, dizziness, and inertia, and so on. People who have these symptoms maybe are in a sub-health condition. 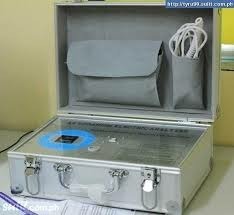 It is a newest Hi-Tech Diagnostic Analyzer targets health problem at the cellular level in minutes. is based on proprietary Japanese Technology that collects the magnetic field of human cells for scientific analysis and gives you current status of your health condition. 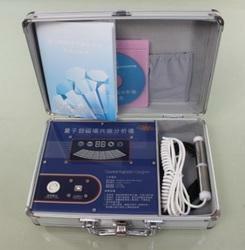 It can also be used for promoting health food and nutritional supplement, etc. Diagnostic Analyzer targets health problem at the cellular level in minutes.